At first glance, when a Wisconsin court reporter is brought in to work on a local case, it appears to be a very straight-forward procedure: show up to the legal proceeding, transcribe what is said and turn the transcript in as evidence. However, as pointed out by the Wisconsin Court Reporters Association (WCRA), those in the profession must adhere to a strict code of ethics in order to maintain their impartial status in the courtroom. 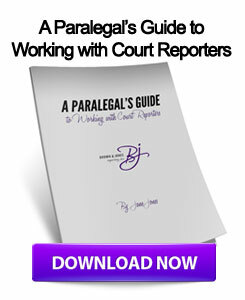 These regulations pertain mainly to making sure there is no relationship between the court reporter and the particular case or hearing they are working at. One of the main issues, as laid out by the WCRA, is determining whether there is a conflict of interest between the reporter and the case. If the individual performing the transcription has any prior relationship with any parties involved in the case, he or she should operate within the context of full disclosure, lest the official transcript come into question at some point during the proceedings. Another major concern when it comes to ethics for certified court reporters deals with illegal gifts or benefits. While this covers reporters receiving improper gifts from those trying to sway the official transcript, it also prevents reporters from giving information to those related to the case. According to the National Court Reports Association code of ethics, all reporters must "refrain from giving, directly or indirectly, any gift, incentive, reward or anything of value to attorneys, clients, witnesses, insurance companies or any other persons or entities associated with the litigation, or to the representatives or agents of any of the foregoing." To ensure that the transcript of any deposition or trial is accurate, local legal professionals are encouraged to seek out the services of a Wisconsin court reporter.